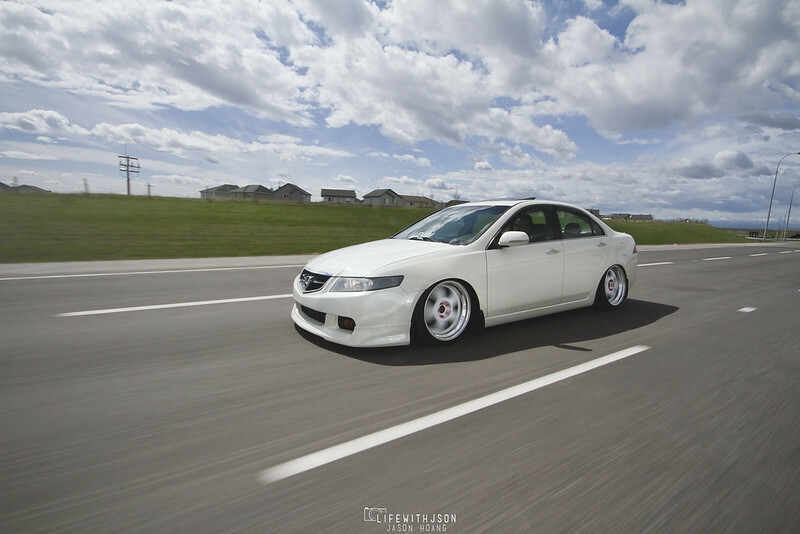 Some unedited shots of Justin’s TSX for you guys to enjoy. One of my favourite cars from last year – a very simple build with some good wheels and just slammed to the ground. All static. Wow, that’s sick for being unedited! Sorry Jay! Misunderstanding – I guess the title is misleading. They are indeed edited… I just meant that they were not edited the first time around when I first posted his set up. I usually go back through my sets and see if there were any I skipped over or missed. Oh haha, understood! When you do you photoshoots, especially when using a tripod. Do you shoot through the viewfinder or do you use liveview mode shoot from there? I wonder which one helps compose your shots better. Always through the viewfinder for me. Use what works best for you. Some great shots. May I ask what lens/shutter speed/ISO were used for the rolling shots? I’m certain that if the second shot was at least F20, the wheels would look more in motion… But still decent.